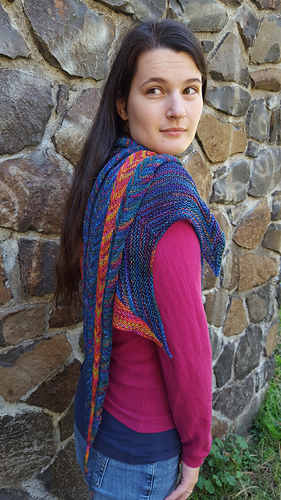 Worked from the small tip to the wide fan the Kaersta shawl makes use of the wonderful colors of Twizzlefoot yarn from Mountain Colors. 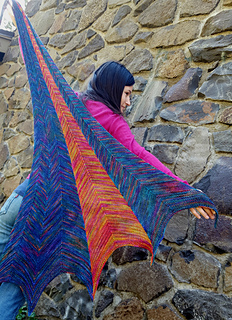 This shawl can be knit in 1-3 colors. 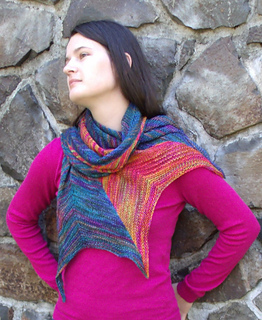 You may use a single color with 2 skeins of the same color of Twizzlefoot, or the pictured 2 color version with 2 skeins of 1 color and 1 skein of a contrasting color, or 3 different colors using 1 skein of each color. 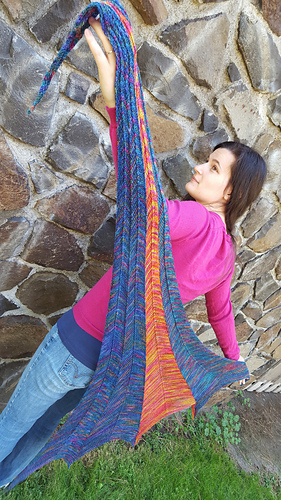 Ellen at earthfaire has put together some fantastic kits using the same colors shown in the picture as well as other fantastic options!